Before recording the final playthrough video, I’ve played through the entire game myself to make sure everything works and to work out an effective route to follow so that I can show every blossom being obtained. This was also the best way to see if the jump to the ending slides worked, which as it turned out it didn’t! So I’ve fixed that, and added one more very final slide that shows the kanji for “owari”, meaning “end”. To wrap the game up for testing, I’ve added a few finished touches. I’ve replaced the default Game Maker loading screen with a horizontal version of the game’s logo. The main reason I’ve decided to align the logo horizontally this one time only is because it sits better on the monitor. This is shown when the game is initially opened up. 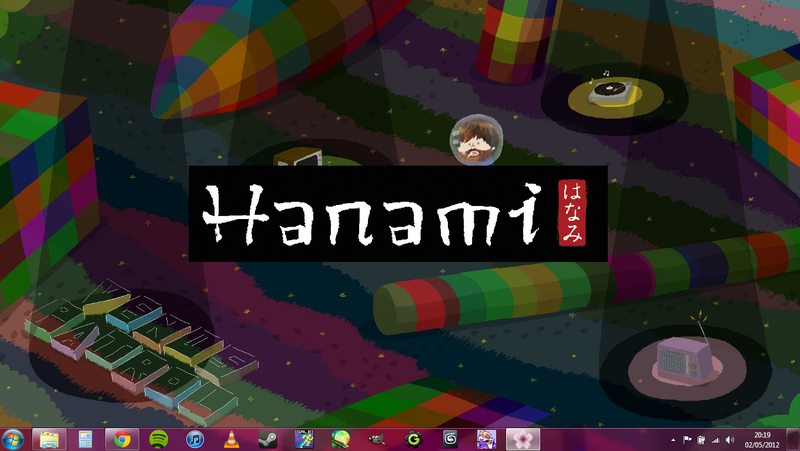 In this screenshot you can also see the Hanami blossom icon in the task bar along the bottom. This is the same as the game icon, although because it’s bigger it hasn’t actually scaled very well. 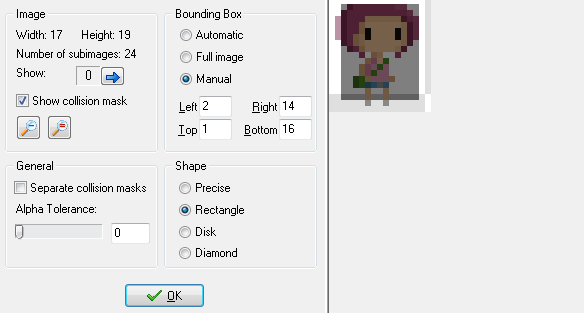 I’ll be sure to scale it properly myself before converting it to a 32×32 pixel .ico file! 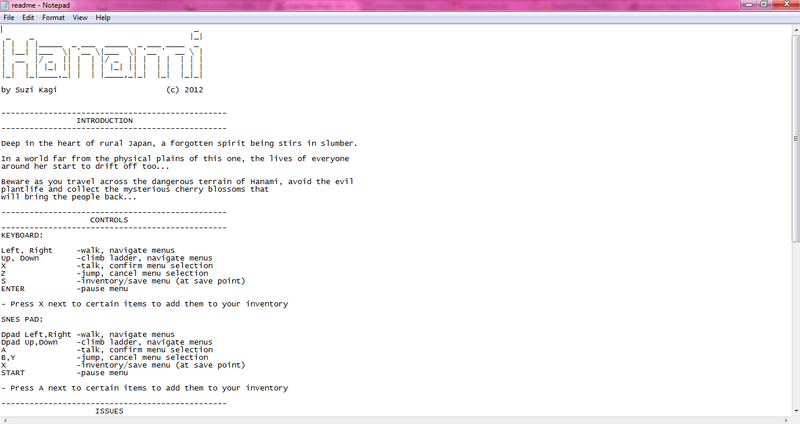 The last addition I’ve made is a readme and help file which will come in the game folder. I had fun creating the typography in the readme text file, inspired by the likes of Spelunky and Ninja Senki! The file is a basic and quick look at some game info including controls, although a pdf version of the game manual will also be available. The game’s help file is the same as this but unfortunately without the bubbly title. This is brought up in game by pressing the F1 key. 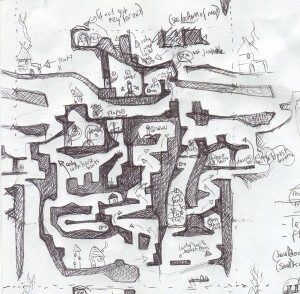 I’ve changed my tactics slightly while designing this level, so that I can essentially design and test simultaneously. 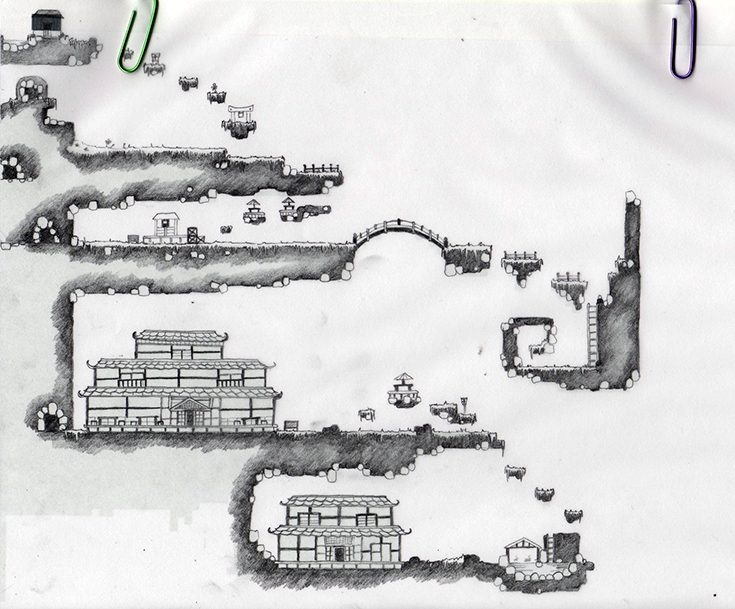 I’m trying to keep level layouts varied and involve new challenges for the player with each level, but it’s been difficult to judge the success of drastic changes on paper. So my new process is: draw, test, redraw, test, create! 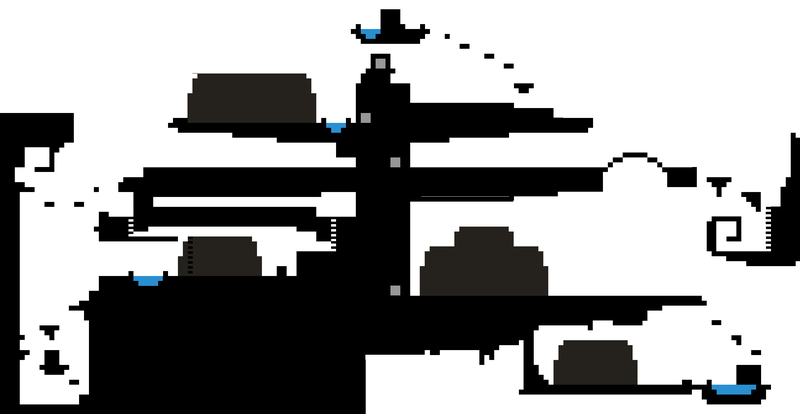 The kanji for “blue” which I’ve based the level 3 layout on is: 青, which gives the opportunity for a lot of long horizontal platforms. Unfortunately, I ended up with a lot of these after creating the level based on the kanji for “orange”: 橙 (it doesn’t look like it has many horizontal lines but I ended up putting a lot of emphasis on the small lower section on the right hand side!) The long, straight parts of the previous level are pretty much the most boring game sections I’ve made so far, so I really wanted to avoid them this time round. 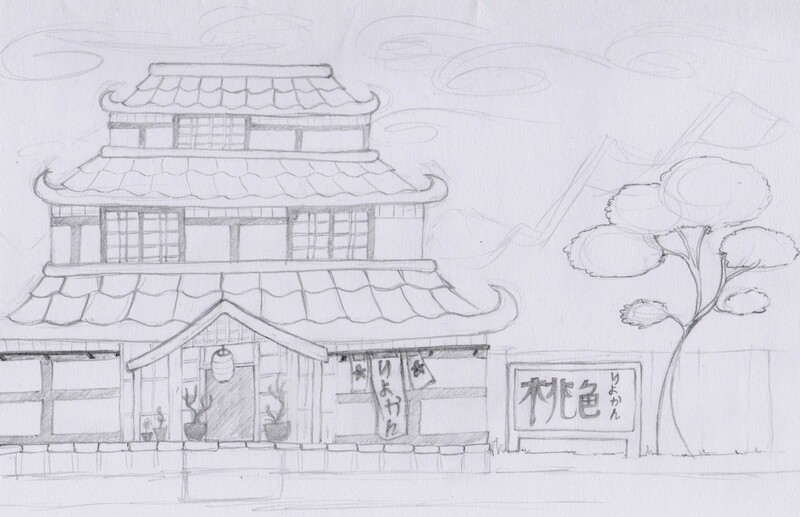 I started off with this level mock-up, which like all of my other level designs has ended up looking nothing like the original kanji! 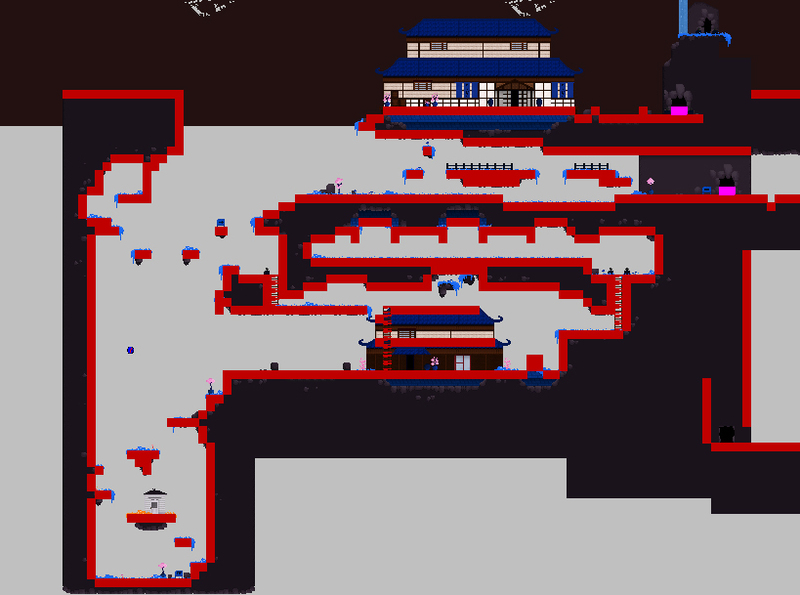 The blue patches are “onsen” hot springs, which are the unique little features in this level. 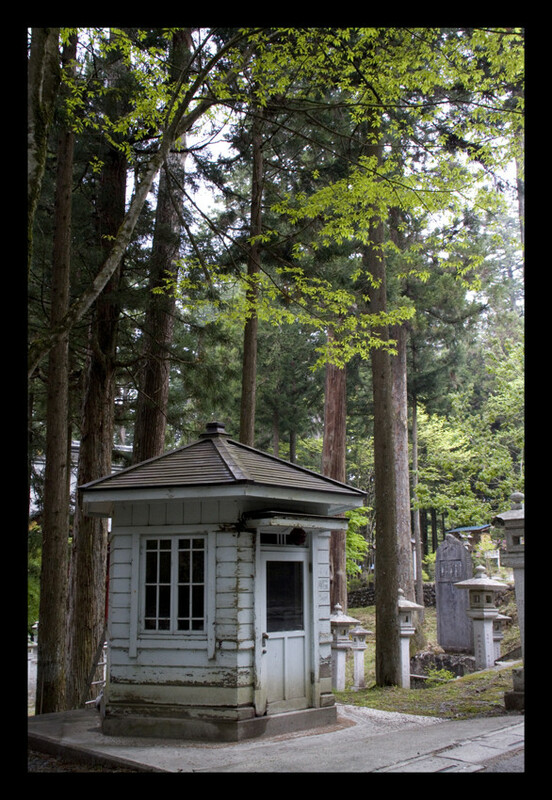 In Japan, accommodation and bathing facilities are often placed near onsen, so I’ve placed the buildings near the hot springs. I’ve also tried to avoid placing buildings in the level’s four corners, which seems to have inevitably happened in levels 1 and 2. This level is unique however beacause I’ve only placed one cave, which is larger than all previous cave levels and connects more parts of the level. 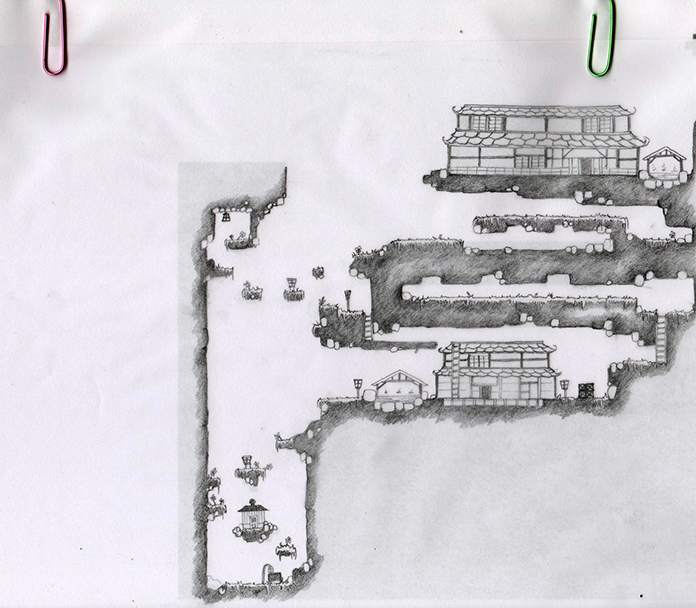 It’s difficult to see in the mock-up, but I’ve placed grey squares where the entrances and exits are located. My main concern with the mock-up is that there are still a lot of long, straight platforms, but at this point I printed the design to work out the rest on paper. When I printed the layout this time I didn’t join the two pieces of A4 paper together, so I’ve ended up with two halves which were really easy to scan! You can see the detail in this design much better than in my previous photos. The level starts in the bottom left-hand corner, where the warp door object is. 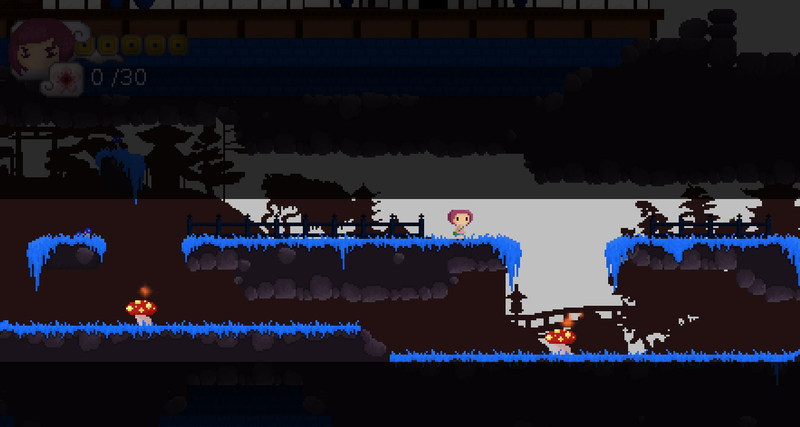 I’ve got a few more tiles to create for this level, mainly where the onsen are. 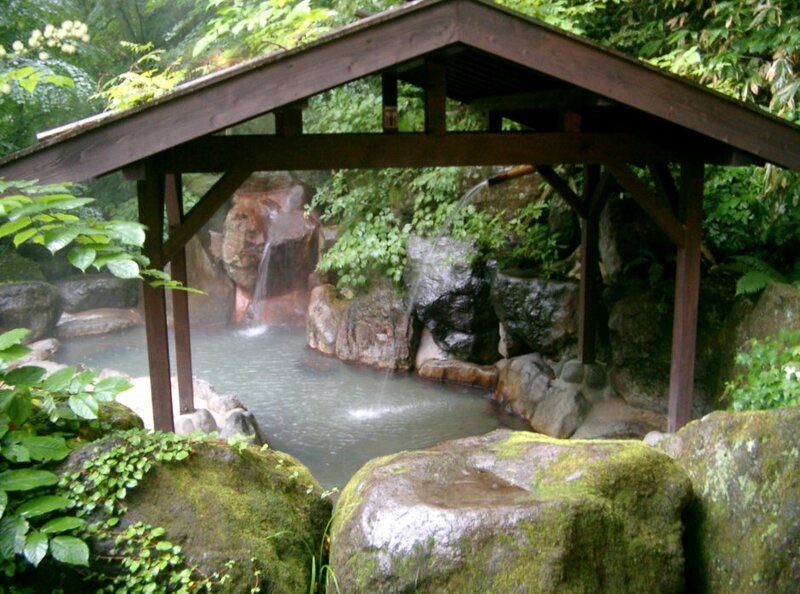 The structures around the onsen are based on this image from Onsen No Tengoku (Onsen of Heaven) in Hakone. The travel guide describes the site as “slightly run-down but remains atmospheric”, which I though fit in perfectly with my rural setting. The solution to the problems with lots of straight horizontal sections seems to be the obvious answer. I’ve made the lengthy run seem less “lengthy” by adding jumps that create thinking points for tactical evasion, as you can see here in a section which original consisted of one long horizontal platform. When making a platformer, think with platforms. 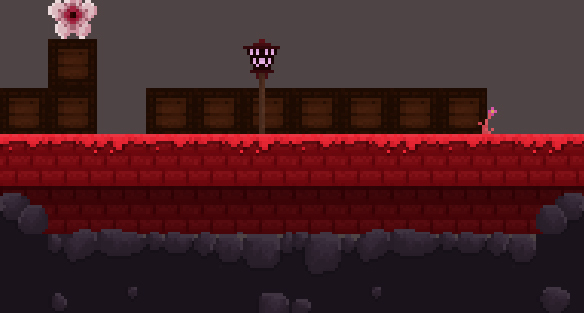 The second half of the level is still incomplete, I’ve simply added in the basics of the platforms for testing. 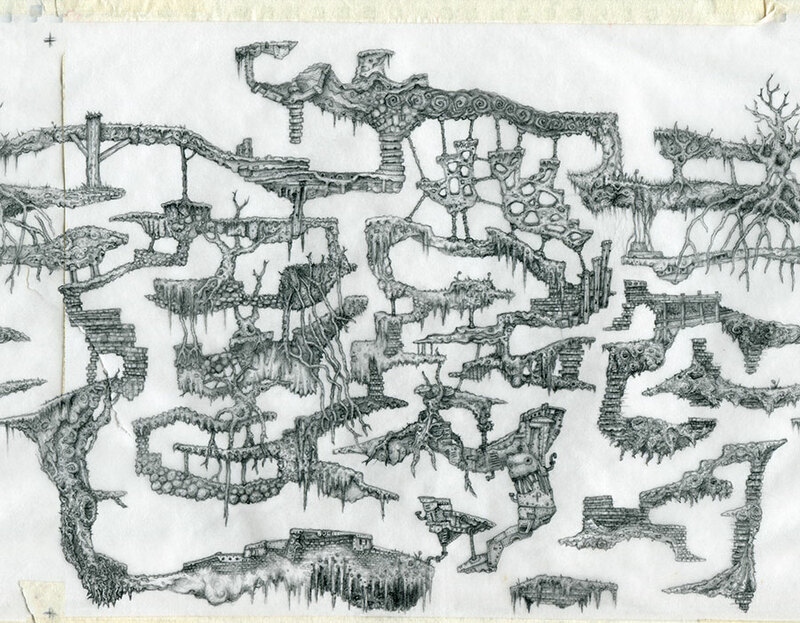 I drew up the rest of the level today, so this should be filled in soon. There are still some platform changes to be made. This I have done today, although most of the problems with collisions were solved by reducing the collision mask around the player object. This stopped the player from gradually sliding down corners and standing on thin air! This also means that collisions with obstacles are more accurate, as it is often the body that contacts that obstacle sprite rather than the head. I’ve increased the masks for the mushroom and swinging enemies to accommodate for this reduction, but only slightly. I haven’t done much to improve the tileset, but I’ve cleaned up some of the edges by adding corner details and rotating some of my existing tiles to fit in more instances. There were just a couple of things from the end of the level that I’ve omitted to draw so far, so I figured it was probably time to put these in. Among the sprites still to create was the “end object”- the door to the next level. This stays closed until all the flowers are collected (although I haven’t coded for it opening yet as there is nowhere to go!) 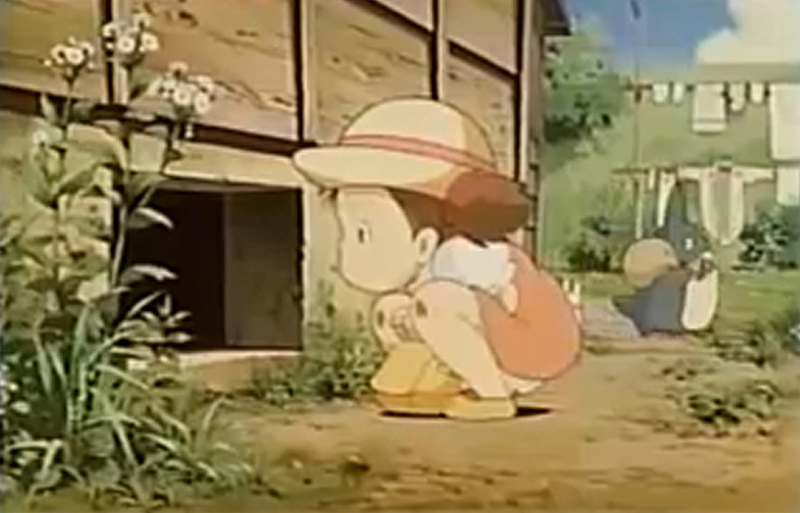 The idea for the new sprite came from this lonely little place, that sparked my imagination. As well as these items from my previous list, I started to work on some more minor details that I wanted to be ready in time to demonstrate to others. I’ve spent a lot of time working out a parallax scrolling system which affects the rate that the background imagery moves at, although this isn’t quite finished yet as it produced quite a jittery result. 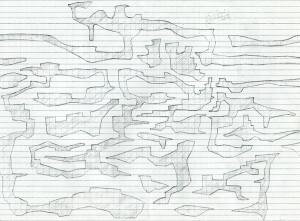 I’ve also added in a code to randomly generate the cloud sprites I previously drew. 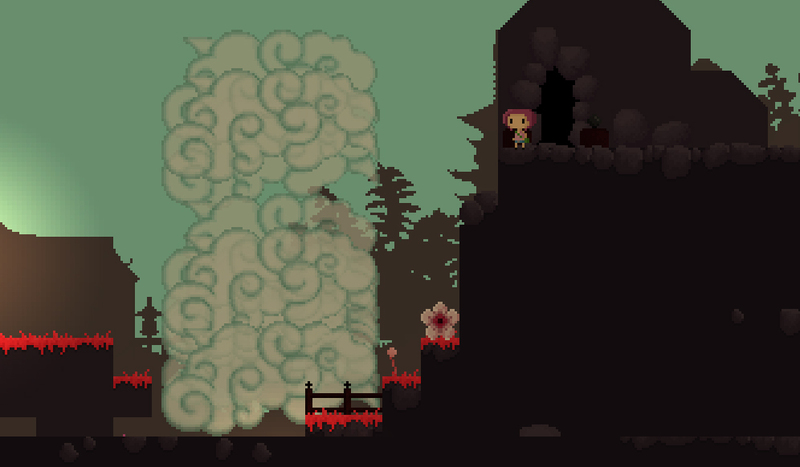 This works by producing a small amount of cloud sprites just outside of the player’s view, scrolling each cloud along at a set pace and deleting them once they are off the screen at the other side. 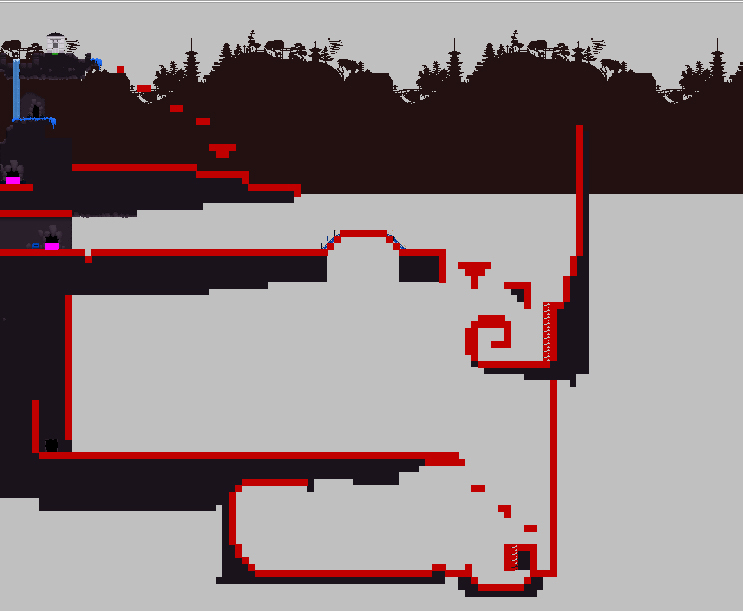 The code then regenerates each sprite at the same coordinates back on the first side of the screen, resulting in an endless amount of clouds. Personally, I think this level looks a lot more like its original kanji than the previous design, but it’s still pretty tenuous! 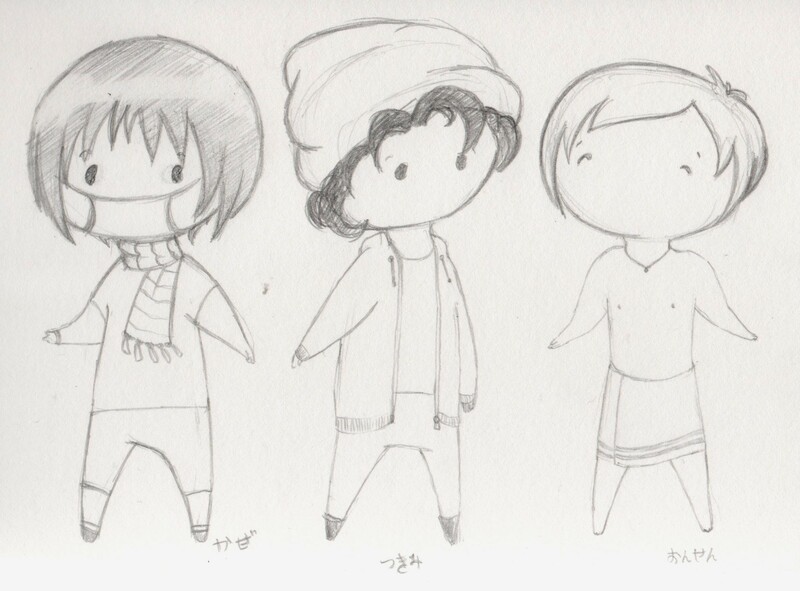 Here are rough designs for three more characters, all with specific roles (should they make it into the game!) I’ve tried to create one unique character for each of the game’s levels, as well as recurring characters who will appear throughout restoring health and saving the game. The idea for the purpose of Most of the characters is that they will give Hana a flower petal, which can be combined with other petals to create one flower. 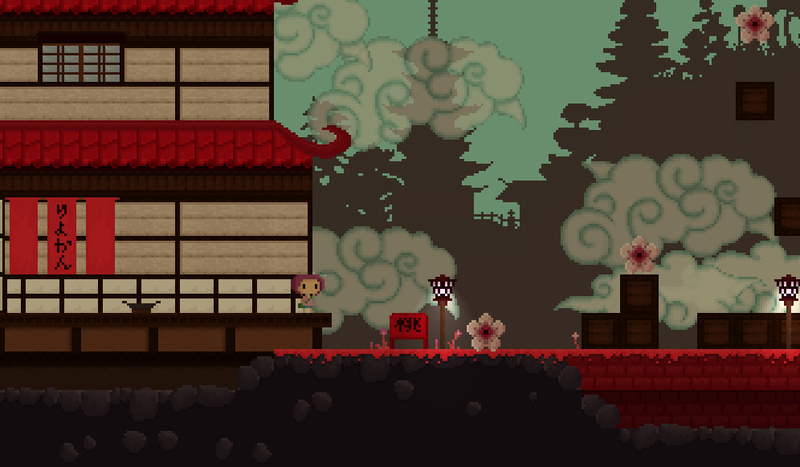 Five characters in each level will give Hana a petal each, which will then make a whole. 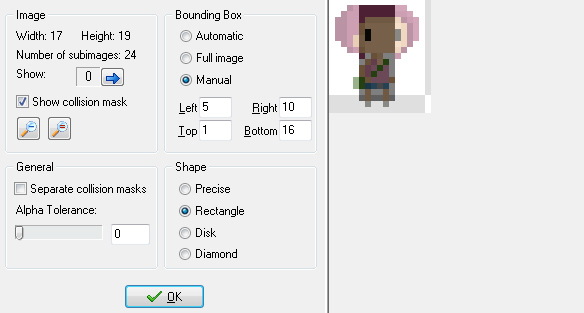 I really hope I can get this to work, otherwise they will simple have to give her a whole flower that they have found (to make it easier on my lack of coding knowledge). Left: a guy who wears a face mask to protect himself from germs, or possibly to protect others from himself. Apparently, the lovely Japanese people wear a mask when they are ill to protect others from catching the bug. Middle: a resident of the “pink” village- the game’s first level. He is based on Tsukimi from 51 Japanese Characters, and prefers watching the moon (“tsuki”) to the flowers. He sits high up in the mountains at the end of the level. Right: I think this guy will appear in the next level. He is found in a hot spring, hence the lack of clothing! While I’ve been working mainly on level design, I’ve also been doing character pixel-art for the characters I created a while ago. I’ll give each of these characters walking and fidgety animations so that they can move. They’re all a very similar size and shape so that I can apply similar animations to all of them. 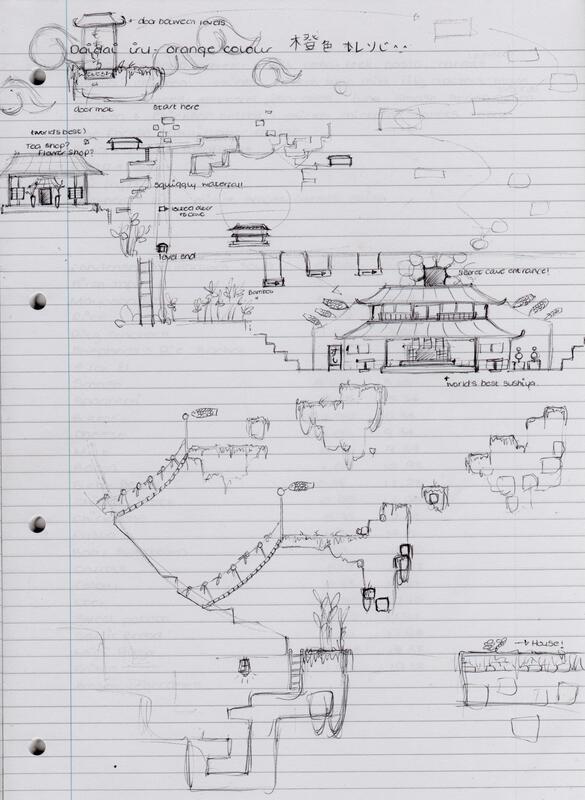 I’ve started jotting down ideas for the next level I’m going to create, which revolves around Japanese forest rather than the current emphasis on mountains. 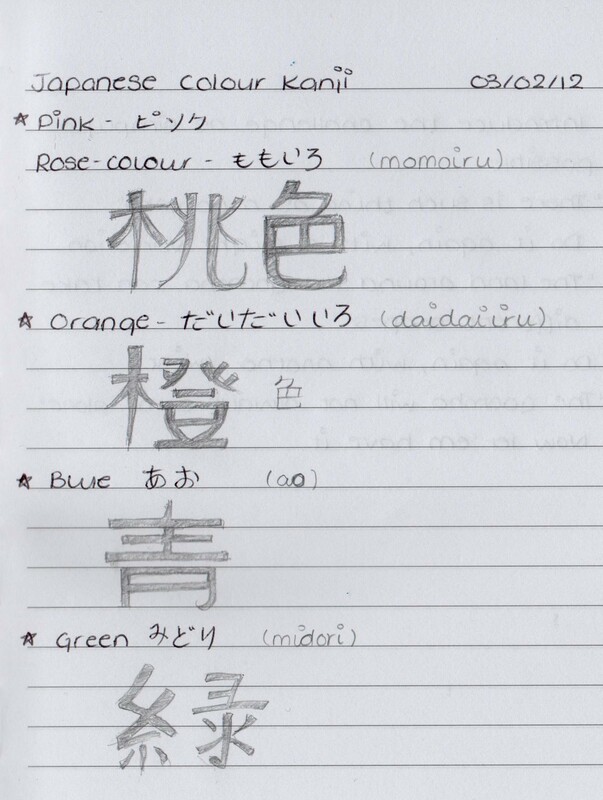 The colours scheme is orange, so I have a new Kanji to work with! There isn’t so much a structure as individual features at the moment.